The Samsung Intercept SPH-M910 is the first Android SmartPhone on the Virgin Mobile network. It is also available on the Sprint network. Originally, it runs the Android 2.1 operating system, but is later upgraded to Android 2.2. 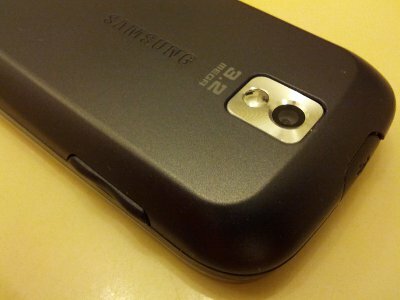 This article focuses on the camera and camcorder aspect of this camera phone. The Samsung Intercept SPH-M910 has a 3.2 megapixel digital camera. Although the lens look like a web cam lens, it can actually auto-focus. The camera app support zooming via the user interface. But, with this tiny lens, it's hard to believe that the zoom is optical zoom. It is highly that it supports digital zoom, rather than optical zoom. There are two way to snap a photo: 1) use the physical shutter button on the side of the phone; or 2) use the virtual shutter button in the camera app. The physical shutter button is a two-stage button similar to a real camera. The first stage allow you to focus on the subject. The second stage snaps the photo. The virtual shutter button does not have two stages. When you press it, the camera auto-focuses. Once focus has been achieved, it snaps the photo. The phone doesn't have a frontal camera. Therefore, it provided a reflective mirror next to the camera lens for you to shoot self-portraiture. 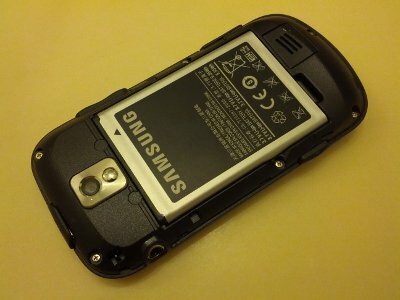 The Samsung Intercept uses the Samsung EB504465VA battery pack. It's a 3.7v Lithium Ion battery that is rated at 1500 mAh (5.55 Wh). 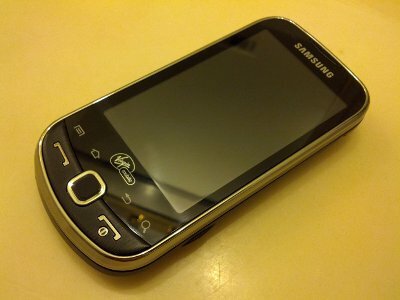 The Samsung Intercept is a small SmartPhone; its battery practically takes up the entire back of the phone. Charging is done via the micro-USB port with the include USB cable. This cable can be plugged into your computer or plugged into the included AC adapter for charging the phone. The phone can be fully charged in about four or five hours. 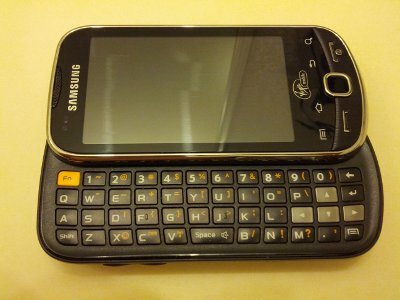 A 2GB microSD Card is included with the phone; at least the Virgin Mobile version of this phone. That's plenty of storage space for the camera and the camcorder. A microSD Card to SD Card adapter is also included. Sometimes, being a photographer means you have to be discreet to get your shot. With the Samsung Intercept SPH-M910, there is no way to be discreet, as the AF sound and the shutter sound can't be turned off. Even if you Media volume completely off, the camera will still make a sound when you shoot photos. The same is true for the camcorder mode. In this mode, the camcorder makes a loud blimp sound when you start the recording. And it makes the same blimp sound when you stop the recording. 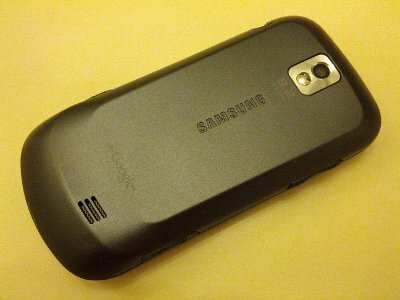 The external casing of the Samsung Intercept is really fancy and gleaming with the feel of bling (chrome trims). It has six buttons (power, talk, end, shutter, volume up, and volume down), a directional touch pad, and three ports (3.5mm audio jack, microSD port, and microUSB port). The microUSB port is on top of the phone, which is really nice when you want to use the phone while tethered or charging. Very few phones provide this convenience. The Samsung Intercept has a nice keyboard. It's really laid-out well and very intuitive for someone who comes from a real desktop computer keyboard. Now, what does the keyboard have to do with photography? If you are a photographer that likes to keep your photo organized, you might be inclined to manage your photos on the road, right as you shoot them. That means you might want to rename the photos to more meaningful names, create folders, or add notes. All these things are easily done with a physical keyboard. The virtual one just takes too long and too cumbersome compared to the physical keyboard.